On the 25th October 2015, Ivoirians will decide the future for their country and BBC Africa will be there with special programming on Radio, TV and online. BBC Africa will present the big national headlines as well as significant local stories throughout the election campaign. The BBC Afrique audience can enjoy extensive coverage of the election via their mobiles and on social media. The coverage will focus on issues that are at the heart of the Côte d’Ivoire election: national reconciliation, economic recovery, the political process since the last violent post-electoral crisis to name a few. There will be many special features that the audience can share and interact with, such as a look at unemployment amongst young people and a focus on the western region - which has been hard-hit by intercommunity clashes. The Africa live page will be an important destination on the big day, Sunday 25th Oct. Throughout the day there will be commentary and analysis from our correspondents across the continentand updates will continue daily as the results come in. BBCafrique.com will host articles on the key election issues. On this historic day both West Africa and East Africa – (in Tanzania, resulting in a new President), will be hosting key elections for the continent and the BBC is uniquely placed to keep viewers accurately updated on both these happenings in real time. 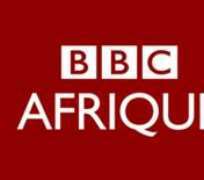 The BBC Afrique service reaches 12.7 million people on a weekly basis and provides content for 23 countries across Africa. BBC World Service’s BBC Africa hub brings together the production of multilingual content about the continent on radio, on TV and online onbbcafrica.com. As it delivers content in English, French, Hausa, Kinyarwanda, Kirundi, Somali and Kiswahili, BBC Africa ensures a pan-African approach to the output, offering its audiences opportunities to join the global conversation. BBC Africa has teams based in London and across much of sub-Saharan Africa, and has well established production centres in various cities. BBC World Service delivers news content around the world in English and 28 other language services, on radio, TV and digital, reaching a weekly audience of 210 million. As part of BBC World Service, BBC Learning English teaches English to global audiences. For more information, visit bbc.com/worldservice. The BBC attracts a weekly global news audience of 283 million people to its international news services including BBC World Service, BBC World News television channel and bbc.com/news.